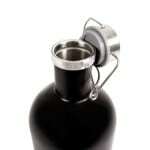 The Black Matte Groomsman Growler will 64oz. of the finest beer around. Personalization options: We’ll engrave a name and initial for no extra cost! 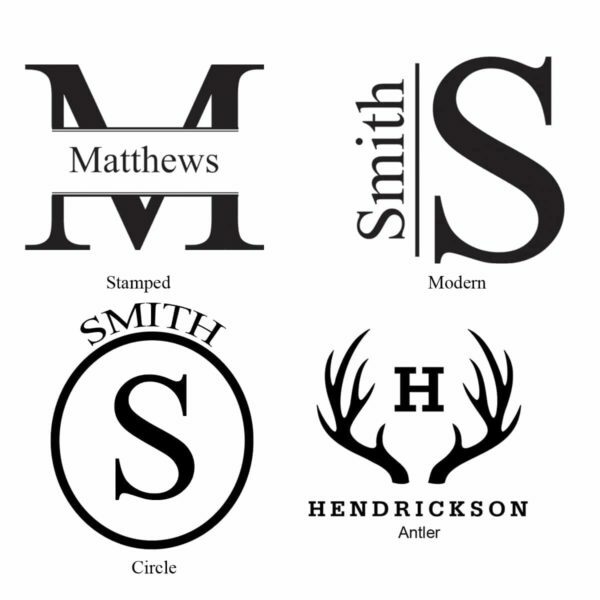 Choose from one of our four personalization styles. 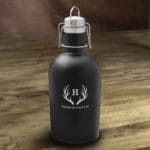 Your groomsmen will be drinking in style with our Black Matte Groomsman Growler. Customize each growler with a name and initial for no extra cost. 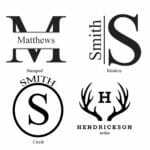 Our four unique monogram designs will signify the importance of the recipient’s role in your wedding day. This guy features all of the classic aspects that make growlers so cool: a swing top lid, black matte and stainless steel design and a huge capacity for storing and transporting your favorite brew. All that’s left to do is fill it up, kick back and enjoy time with the fellas. Matte black finish over stainless steel. Swing top lid for a secure seal. Measures 4.25” L. x 4.25” W. x 11.5” H.
Hand wash only. Do not freeze.